Is this a cause for concern? What is the current sales outlook? InsideSales.com CEO, Dave Elkington will answer these questions and more while reporting key findings from the Business Growth Index. Having a better product or technology than your competitors isn’t enough. With an increasingly competitive market you need the right tools - and a platform - to set you apart from the pack in this age of digital selling. Sellers, sales managers, and marketers all need to keep pace with changing customer needs and expectations. Real-time customer insight and predictive analytics are rapidly becoming table stakes for team success. In this compelling session, Dustin Grosse, CEO of ClearSlide, will share four key tips to help ensure consistency, productivity, and in turn, profitability in a challenging economic environment. 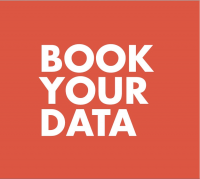 Attendees will walk away with actionable learnings for increasing rep productivity and leveraging modern tools to crush both your numbers and the competition. The two greatest challenges in sales leadership are first knowing what the perfect sales process looks like at your organization, and second, ensuring that your sales team actually follows that process. Prescriptive Sales involves achieving both these goals simultaneously. In this presentation with Nick Hedges, CEO and President of Velocify, we’ll look at what the perfect sales process at your organization might look like and how to think about getting everyone on your team to follow that process. We’ll look at “who” should work on each prospect; “when” each interaction should occur during the sales relationship with a prospect; “what” specifically should be done at each stage in the process; and the impact of a salesperson knowing “why” they are following the process. 2015 Sales and Leadership Training Provider of the Year shares their secrets to getting large spikes in performance, and five fixes you can implement yourself. Get ready to run for your old Y-jack! This year, Factor 8 listened to thousands of outbound B2B sales calls – from appointment setting and cold calling to account penetration and renewals, and we’re going to show you five common fail points where Reps are losing the customer and leaving opportunity on the table. You’ll cringe while we play a few actual calls (you may recognize some of these skill gaps from your own teams), but together we’ll also cheer as we share “after” calls, and walk you through what we did in training to get them there! You’ll walk away with at least five fixes and tips that you can take back to implement with your own internal management and training teams. Transform your One on One meetings with your sales reps to productive goal and activity setting that turns your B-players into A-players. In this session with Jim Eberlin, TopOPPS CEO, you'll hear real stories of successes and failures in coaching and motivating sales reps to achieve quota. You'll also learn the metrics that track sales performance and and the underlying story to make coaching easier. CEB, MHI Global, Sirius Decisions and more have all preached that buying group behaviors have drastically changed - but have you changed with it and seen the results in your close rate? In this talk, you'll quickly understand how group buying behavior is killing your close rate, AND you'll take home the 5 critical steps to drive buying groups to agreement. Its a clear-cut methodology that you can implement tomorrow, and your buyers (and sales teams) will love you for it. As has been well documented, the past two decades have seen explosive growth in the size and responsibilities of Inside Sales functions. This growth has been made possible because technologies like predictive dialers, CRM, screen-share apps, etc. have eliminated much of the need for face-to-face selling. Today, inside sellers typically employ a technology stack as their primary tool set. As technology options have expanded, less and less attention has been paid to the skill of professional persuasion. Technology may have made sales a far more efficient process, but sellers still need to solicit, understand and address buyer interaction. Tom Snyder, Co-Founder of VorsightBP, will discuss the key symptoms that indicate to a sales team that its technology-to-skill ration is out of balance. As the Sales and Marketing professions evolve, more teams are recognizing the importance of social selling. Where are we in this evolution and what trends have emerged? What practices should you be adopting today to stay ahead of the competition? Discover how your peers are embracing social selling and driving results, and how you can seize this opportunity to gain an edge. Across the board, inside sales reps say they want more coaching from leadership. However, faced with other pressures, leaders often put coaching on the back burner with costly ramifications. In addition to lower rep performance, lack of and poor coaching can result in job dissatisfaction, turnover, and a slower sales cycle. For years, managers have had their opinions on what works best for sales phone calls, emails, and social touches. In this engaging session with Kyle Porter, CEO and Founder of SalesLoft, hear references to the most legitimate data, so that you may see what actually works...with no hypothesis. We all want to coach more, and more effectively. But how can we efficiently focus on having the most effective coaching conversations with those reps who need the most help? And how can we measure improvement immediately and reliably without waiting for whole sales cycles to play out? ConnectAndSell CEO, Chris Beall, joined by Steve Richard, ExecVision CRO, will use real CRM call disposition data to share a practical method of using dispositions to drive, and measure, coaching efficiency and effectiveness by coaching just who, and what, will move the needle now. All sales organizations have data, but how many are utilizing that data to target high-value prospects, stay organized, and close more deals? Join Blake Ballard, VP of Global Account Development at Domo, to learn how to not only find the processes and metrics that work best for you, but how to put actionable insights in the hands of your most valuable asset: each and every sales rep.
Do you know what top Inside Sales people say on calls that average people don’t? Which words and phrases lead to higher close rates? And what are the conversation patterns that can separate a serious prospect from a tire kicker? - Learn from a first-of-it’s-kind study that analyzed thousands of spoken conversations from Inside Sales organizations in search of the perfect pitch. - Learn words and techniques that could help your team close mode deals. - Hear real sales call recordings that illustrate the various techniques. In this session, long-time Inside Sales veteran and expert, Trish Bertuzzi will share 3 "a-ha" moments from her newly released book The Sales Development Playbook. How to figure out the right strategy, how SDR micro promotions will change your life, and how to think about technology investments. Attendees will walk away with tips they can implement as they grow and improve their Sales Development team! What problem, opportunity, or challenge are you struggling with? In this session, Nancy Bleeke, President of Sales Pro Insider, Inc., will lead the group through a powerfully efficient peer-coaching process that identifies actionable ideas you can put to immediate use. Focused on you, this high-energy, small-group session will put each participant at the center of attention, so that attendees may gain insight, get unstuck, or capitalize on a specific opportunity. Join Nancy as she helps you implement a process within your own team so you have problem solvers ready to grow sales! 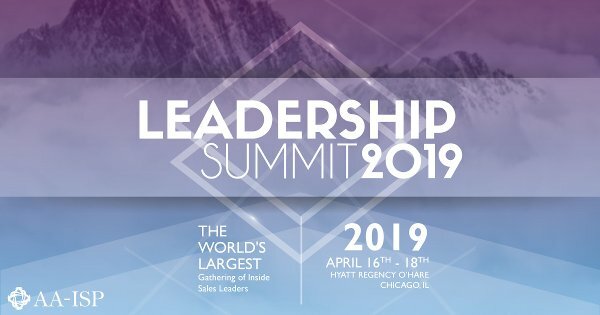 Join David Brown, North American VP Sales and Derek Few VP Major Accounts Field Sales as they review real life challenges and success stories moving to an Inside Sales approach without losing your top performers. Confusion reigns over how to classify Inside Sales representatives. The issue centers on interpreting the Fair Labor Standards Act (FSLA) coupled with varying state labor laws. 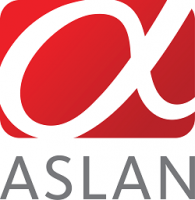 Misclassification can lead to multi-million dollar lawsuits. With the experience of transitioning inside teams at two different companies from exempt to non-exempt, industry veteran and Inside Sales expert, Dave Chwalik, will lead a discussion that offers an overview of what types of employees are entitled to overtime pay, FSLA exemption mistakes, and an action plan for avoiding overtime claims. In this engaging session, Tom Dekle, CMO for Digital Sales, IBM Inside Sales, North America, will discuss the steps his organization is taking to address the major shifts that are happening in their industry today - to what clients are buying, who is buying, and how they want to buy. These market changes require us to rethink everything from hiring strategies to physical sales environment, education and training, and tools and techniques. Tom will speak to IBM's vision for the ongoing evolution of the inside seller. In this session, you will learn how to streamline activity through automation, increase sales productivity, and improve strategy implementation. Join VanillaSoft's David Hood, CEO, and Guy De La Cruz, Vice President of Sales as they address how your organization can deploy Inside Sales specific strategies to increase sales. David and Guy will cover topics such as streamlining your activity through software automation, how to increase sales person productivity by using technology and proper cadence, and how to ensure that the sales strategy your company has designed gets consistently and effectively implemented throughout your organization. 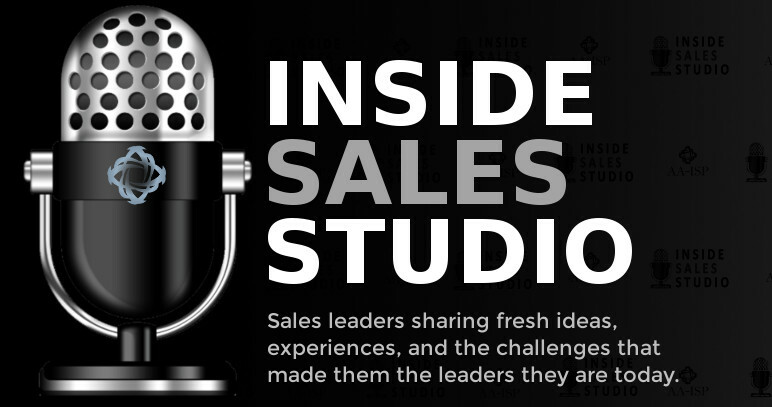 Today's Inside Sales landscape is set up with the shiniest tools, technology, systems, and talent. But something is broken when 58% of sales reps are struggling to meet quota, and 25% of their sales time is spent on unproductive prospects. Why won't your reps just pick up the phone? What does it take to create change on the sales floor? The #1 frustration voiced by sales leaders and managers is their inability to influence change -- despite investing in expensive training, purchasing new sales tools, and providing their sales reps with the best campaigns. They desperately want to find the secret to managing and motivating their multi-generational, multi-cultural teams to work smarter, be cohesive, and stay with the organization longer -- and they need that secret now. - Understand what it takes to grow and sustain a Future Fit Sales organization. High-performance Inside Sales teams are doubling conversions while calling half the number of leads. Learn how in this informative session with real-life examples by DxContinuum VP of Sales Jim Frazee. Jim has served in Inside Sales leadership roles and brings first-hand experience with leading success for Inside Sales teams. Sales Development “Crimes” are committed every day. Each of us receives lots of sales development emails, calls, and social media messages every month. In this session, Steve Richard, Marcus Sandberg, and Anders Fredriksson will play a variation of the board game “Clue” where YOU will analyze those attempts to figure out what is the worst and best way to get in contact with people at your company and make sure we all don't commit the same crimes. Still measuring dials? While most Inside Sales leaders have established metrics for their teams, they often measure the same things that have always been measured in the past. As sales roles and models have evolved, leaders should adapt by measuring the metrics that matter most. Join long-time Inside Sales practitioners and consultants, Steve Sharr and John Healy of Factor 8, as they lead an open-forum discussion on metrics and measurements. The audience will play a key role in this discussion as they offer up their own metrics while sharing some new ideas around this somewhat controversial topic. 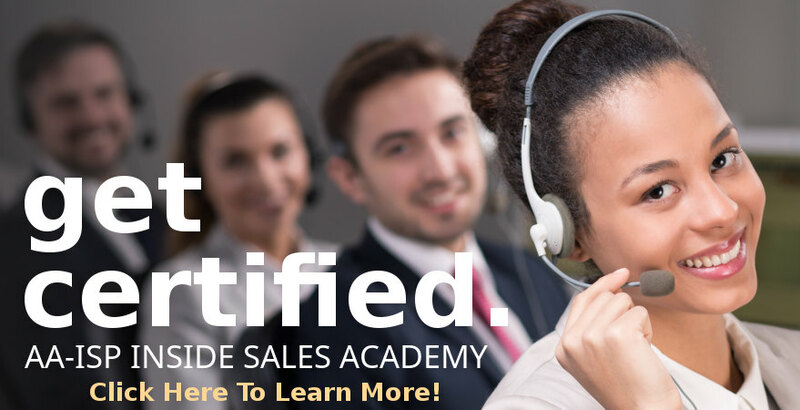 • Why top sales reps don’t always make great sales managers, and how to identify which ones will! • Tips on how to implement psychometric surveying to build teams so they drive success for your company. To make the workshop even more effective, email wjameson@cindexinc.com to take your personal survey to understand your personal job related traits. •	Build a targeted prospecting list of 100-1000 accounts that look similar to your most engaged customers. •	Send highly personalized emails to 2-5 individuals per account. •	Support sales with ABM techniques ranging from LinkedIn Ads to manually delivered books, donuts, and t-shirts. The impact has been incredible, with ASPs up 2-3x, while outbound emails garner replies like "I sent your email to my sales team as an example of a great prospecting email sent at just the right time. Let's talk." Learn the 10 steps you can take to double pipeline generation without investing in any additional tools or data. Ken Jisser, Co-founder of ReplyStream, will describe the core disciplines that allow organizations to better understand who to target, why, when and how. This session is for executives, managers and individual contributors who are not satisfied with current levels of performance and productivity, or who are looking for an edge in highly competitive markets. As industry icons like Microsoft, HP and IBM significantly expand Inside Sales investments, the objective is not "more savings"...it's "more revenue". In an increasingly Cloud-centric market with huge growth expectations in untapped SMB markets, Inside Sales is the tip of the arrow for immediate and long term revenue growth. Get "why" and "how" details on what software leaders are doing now, plus key learnings you can apply in 2016, from Tim Killenberg, Senior Vice President of Sales and Marketing at N3. One of the most surprising results they found was that more than a third of the companies did not respond to the lead at all. Not even once. In this session with Erroin A Martin, Regional Vice President, Strategic Accounts at Conversica, will present findings from their 2015 Sales Effectiveness Report. You'll learn which factors are strong predictors of success or failure with inbound leads. Current AA-ISP Research indicates that finding and onboarding professional sales talent is one of the most pressing challenges facing Inside Sales leaders. This panel, hosted by Dionne Mischler, will offer some fresh tips, best practices and new ideas you can implement in your own hiring strategy. Attendees will be able to ask questions and share their own ideas around this important topic. Today’s salespeople have a plethora of tools, channels, and content available at their fingertips, enabling their productivity and success. But without guidance, all of this information can overwhelm sales professionals, leaving them to wonder about the best actions to take throughout the sales process. To be successful, salespeople need guidance. But when reps lack the confidence to ask for help when it comes to connecting with prospects, they end up guessing and relying on past experiences to manage their sales strategies. There is a better way: Guided Selling. In this session, we’ll explore how data-driven guidance can help your salespeople navigate the B2B sales environment and close more deals. Current AA-ISP Research indicates that training & development is a top challenge and priority for both frontline reps and leaders. 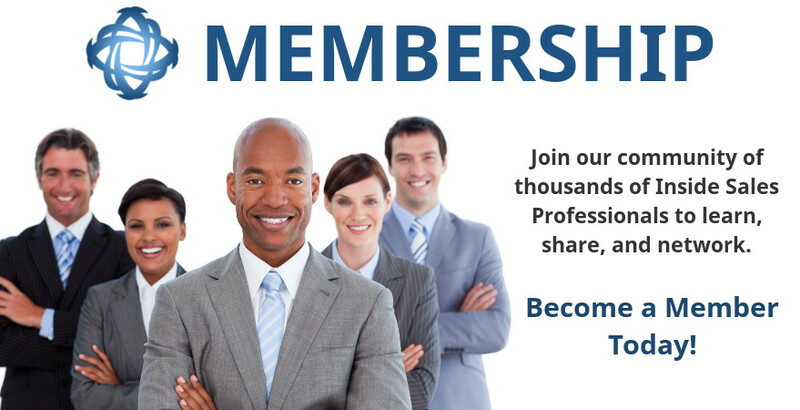 Our profession’s explosive growth has resulted in open leadership req’s at all levels… from 1st-line managers, to VP's and above! In addition, companies are failing to give today’s leaders the development they want and need in order to help them advance in their careers. In this session, AA-ISP Founder & Chairman, Bob Perkins will discuss these challenges while providing some tangible solutions that leaders can take advantage of immediately. -	Association development opportunities: The Mentor Program, Publishing & Presenting, Inside Sales Studio, Training Tuesdays, The AISM, and more! 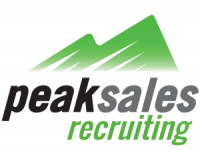 Antarctic Mike's program, "Hiring The Best For Your Sales Expedition", will focus on a number of aspects of making your hiring process more effective. Mike will address everything from designing ads that are more effective to how to define the job in a compelling way that attracts better people to the selection process. Mike's program will be based on a few stories from Antarctic history, where making the right selection was critically important. Today’s reps spend an average of 19 minutes researching and use 7 tools preparing for a single sales call. Multiply this across your sales team and that’s costing you millions and losing you deals. Join Jason Robinson, SVP Sales & Marketing for MarketBridge, to learn which tactics and tools can be applied in-quarter to free up time for individual sellers to contact customers, improve conversion rate effectiveness, and cut operating costs. Dr. Rich Rocco of the DePaul University Center for Sales Leadership, a nationally recognized expert in the field of sales effectiveness, will present his latest research findings on the topics of sales effectiveness and sales acceleration technology. Up till now there has never been a way to reliably solve the people problem holding back most sales teams. Today there is a new way to dramatically increase the odds of getting the people part right. It means looking at people in a fundamentally different way. It means tapping into a new category of information that reveals why your top people massively outperform the rest. In this session, Henry Schuck, CEO and Co-Founder of DiscoverOrg, will take a detailed look at the process from cold call to closed opportunity within a team that generated over $24M in NEW ACV Sales in 2015. How do leads get distributed to SDRs? How do leads get passed from SDR to AE? How are company records with leads and contacts maintained? How do inbound leads get handled? What metrics are we tracking for our SDRs and AEs each week, month, quarter? What does the funnel from Lead to Opportunity to Close look like? What is our best channel for Leads? Fastest time to close? Highest Annual Contract Value? How many calls and meetings should I expect my reps to be completing? How are we comping our reps? From his dynamic book, 3-D Sales, Erik Therwanger will share the sales strategies and techniques he has personally applied as top producer, executive sales leader, and a sales trainer to thousands of sales professionals. Become a 3-Dimensional Sales Leader - Build a Powerful Sales Team, Turn Desires into Results, Open More Opportunities & Increase Referrals. Smaller or mid-size teams that are new, starting up, or preparing to grow, are all looking for ways to improve while meeting new challenges each and every day. Join host, Erik Therwanger, as he leads a panel discussion around challenges and solutions for smaller size teams. Areas such as finding talent, must have tools, training, career growth, and others will be addressed. The audience will have an opportunity to ask questions while sharing their own best practices. Cindy Littlefield, Sr Consultant, The Bridge Group, Inc. The #1 frustration voiced by sales leaders and managers is their inability to influence change despite investing in expensive training, purchasing new sales tools, and providing their sales reps with the best campaigns. They desperately want to find the secret to managing and motivating their multi-generational, multi-cultural teams to work smarter, be cohesive, and stay with the organization longer and they need that secret now.